I regularly travel to Hong Kong, Beijing, Shanghai and Tokyo and since everything we get comes from there, I was wondering if by any chance anybody would know of any contacts or stores there that sell tackle etc. in those cities. I'm looking for a few Okuma Magda Pro line counter trolling reels right now. Any websites or addresses would be helpful. For example, I know you can get "knock off" golf clubs for a fraction of the price not to mention clothes, purses etc. No idea what a suburb of Tokyo would be, looks like a lot of stuff in the store? I dont see why you wouldnt be able to find the reels there, and you could probably save a fair chunk of change too. Okuma is a Taiwanese company despite its Japanese-sounding name, and so I suppose your better bet is in HK or Shanghai. 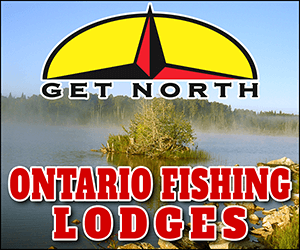 Just ask the front desk or a cab driver for a nearby tackle shop. PM me your email address. I can give you a few contacts there. I regulary buy stuff from there. Peter, is the plane in your avatar the type you fly for Air Canada ?? That beast is massive !! Yes, It's a Boeing 777, Air Canada's latest addition to our fleet. It holds 342 passengers and we go about as long a haul as you can nowadays. A typical flight is 16 hours long over the north pole to Hong Kong. We carry double the compliment of pilots and have a crew rest facility with bunks upstairs. Now if I can find those tackles shops in China, I can bring you guys back stuff! Thanks for the info Peter, impressive doesn't even begin to describe that plane. Ya, I know what you mean. Boeing says the fuselage of a Boeing 737 would fit inside the engine of the 777. Now that'a a lot of hot air! 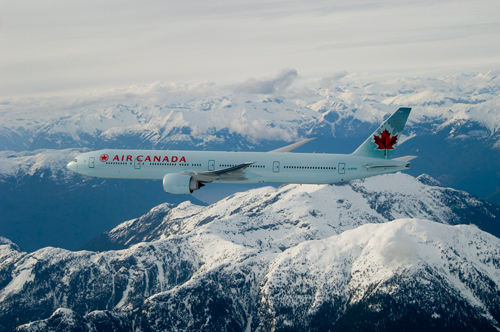 Love the new 777 addition to Air Canada. Last summer I flew back to China, to my suprise it was the 777. More space and best of all, even the business class had AC outlets, endless power for my laptop made the flight seem a lot shorter. Any idea how many 777 AC has on duty for Beijing flights? Small world, Richmond Hill residence. It would be an interesting experience to meet a fellow OFNer 40,000 ft altitude. The 777 does all the Hong Kong, Beijing and Shanghai's directly from Toronto now as they have gotten rid of all the four engine Airbus A-340's. All we have left now are the twin engine Airbus A-330's mostly for Europe. This month, we're starting Tokyo again. The other routes we fly are Toronto-Frankfurt (1 of the the two dailys), Montreal-Paris, Vancouver-Sydney and the odd Toronto-London. Wow, small world irishfield, Reid and I were hired together in 1987. I think he came from Bearskin Airlines in Thunder Bay. Cory, that was the Chief Pilot that pulled that stunt. Cathay Pacific paid the poster of the original streaming video $40,000.00 to remove it! Reid's personal airplane, that I built and maintain, is in my hangar outside the back door here. Here's one of him with a freshly covered Norseman after the covering got burnt off flying in firefighting equipment. Do you know Robert "RJ" White as well ? Don't know RJ but I know a Peter Jay? That Norseman is a classic isn't it? If it's still airworthy, when are we going fishing!